Darla has 40 years of experience in real estate, customer service, marketing and leadership as a broker, marketing director, sales manager and business owner. She is an active member of the Realtor Association of Sarasota and Manatee, having served as President in 2003 and received the coveted Realtor of the Year Award in 2006 and the Distinguished Service Award in 2016. 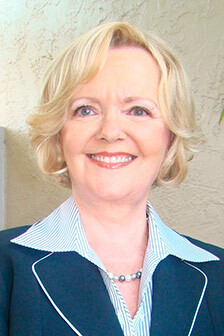 Darla has also served on and chaired numerous committees for the Florida Realtor organization. In 2006 she was a District Vice-President for the organization and has also has been a member of the Board of Directors and on the Executive Committee. In March of 2010, Darla was appointed by the Governor of Florida to serve as a Commissioner on the Florida Real Estate Commission, which administers and enforces Florida real estate license law. Darla served as Chair of the Florida Real Estate Commission in 2012 and in 2015. As such in 2012, Darla was invited to the White House, to attend a "think tank" on how the recession was affecting the real estate industry and homeowners, particularly with regard to the foreclosures and short sales. Her passion is real estate management, coaching her associates and delivering the dream of home ownership in beautiful Sarasota to the customers of Michael Saunders & Company®.